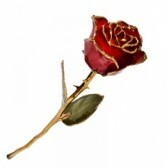 This beautiful 12" gold dipped rose, is a true real rose., preserved and dipped several times in a 24ct gold. Put in a nice gift box. A perfect and unusual gift that will last forever! 1 real rose, preserved and dipped in 24 ct gold. Displayed in a pretty gift box. Please call us to see what we have in stock. It changes month to month. Great quality Product by Scentsations. 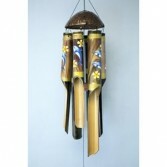 Please call us to see what Chimes we have in stock. They change month to month. We can give you details or send you pictures of the current in stock items! 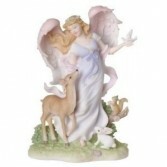 Call to see what angels we have in stock, as our overhead changes on a month to month basis. Flowers convey a message that cannot be put into words. ENCHANTED FLORIST OF CAPE CORAL of Cape Coral, FL provides a variety of fresh, fashionable floral designs to ensure that your gift is one of elegance and beauty. When you're looking for a unique hostess gift, token of appreciation or just a surprise to brighten someone's day, let ENCHANTED FLORIST OF CAPE CORAL customize and deliver one of our many fun, decorative & luxury gifts! We create dazzling presentations that are sure to please for any gift-giving occasion. 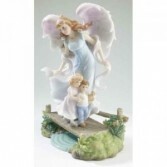 To get your custom gift items, come by and see ENCHANTED FLORIST OF CAPE CORAL - your local Cape Coral, FL florist.